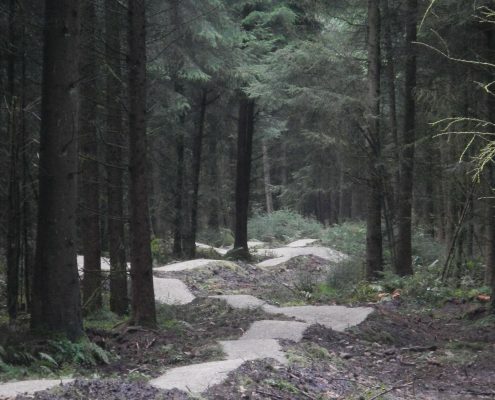 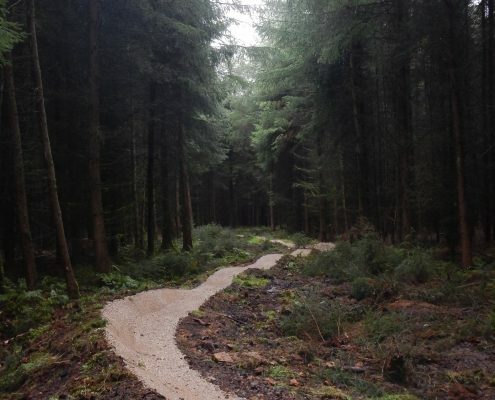 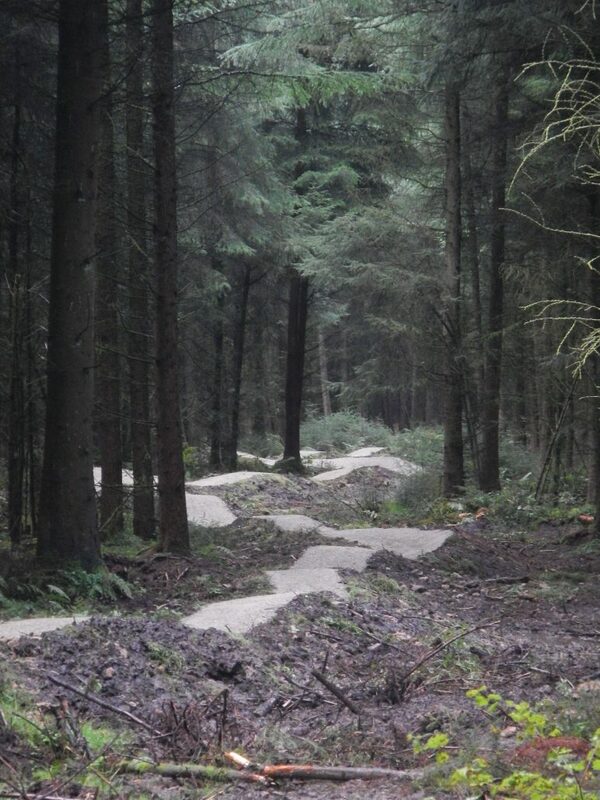 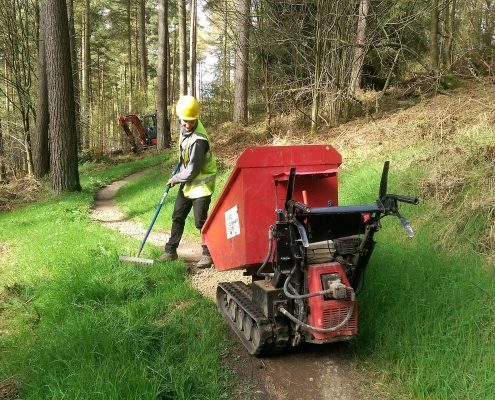 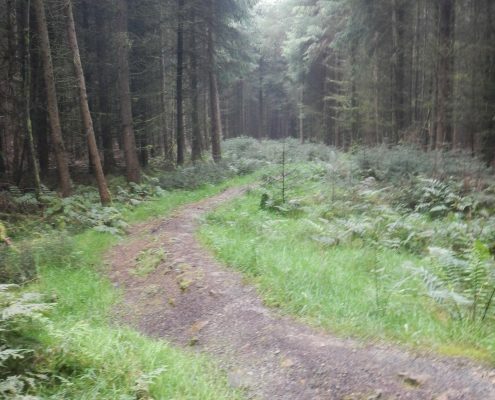 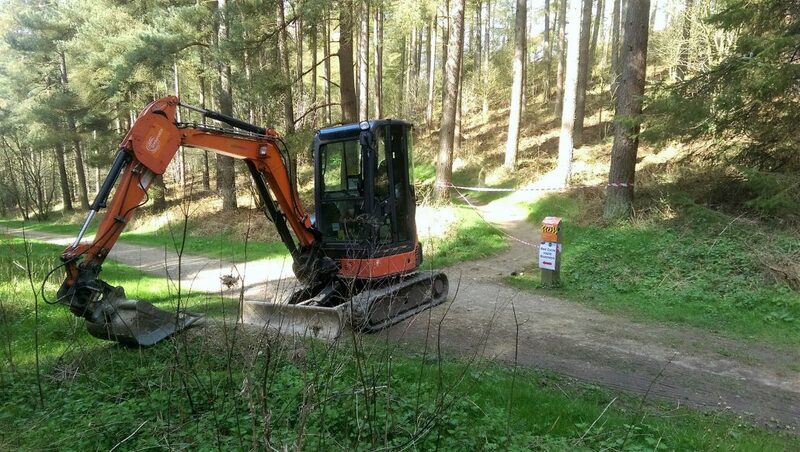 Conservefor, Specialist mountain bike trail maintenance contractor were appointed to undertake the upgrade and repairs on a number of sections of the red MTB trail in Dalby Forest as part of our forestry commission framework contract. 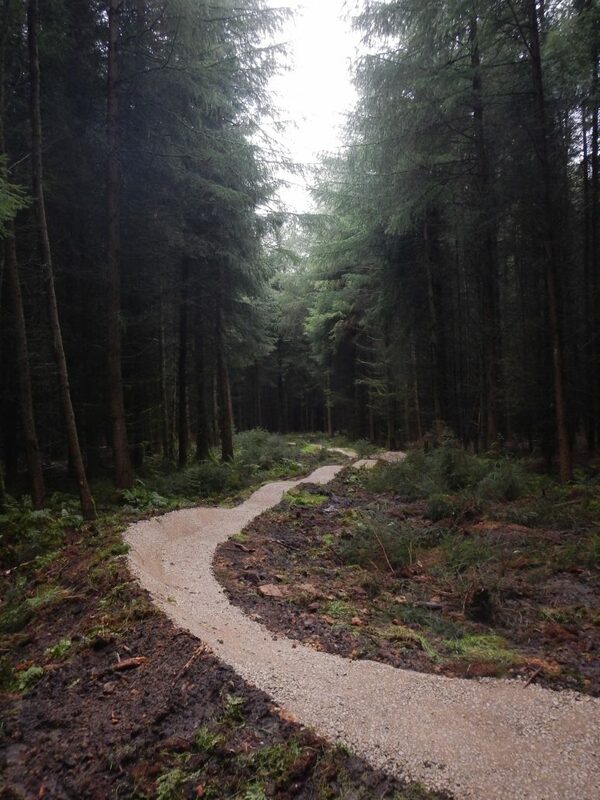 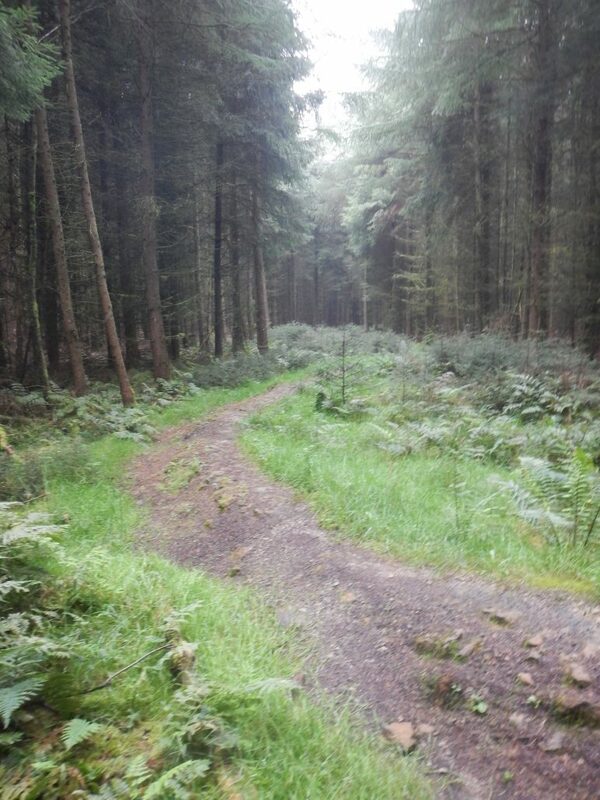 The red grade trail at Dalby Forest is 34.3km (21miles) long and is one of the most used trails in England. 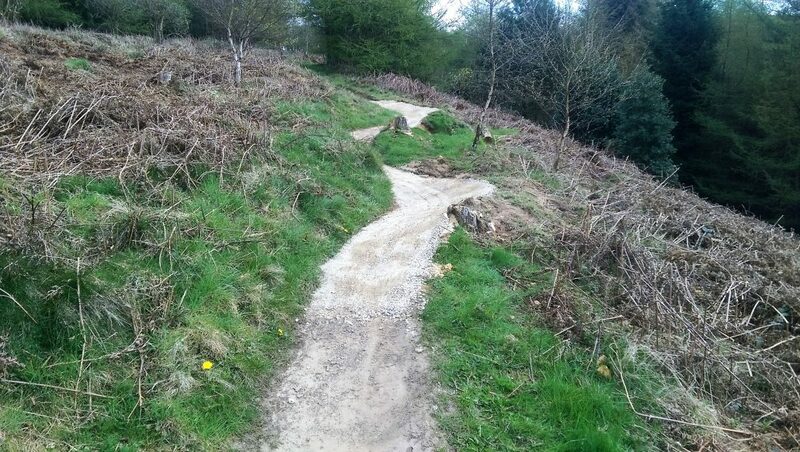 Continuous trail use causes erosion hotspots and damage to trail infrastructure eg berms, drop offs and add in weather and vegetation management issues it a big job to keep the trail open and fit for purpose. 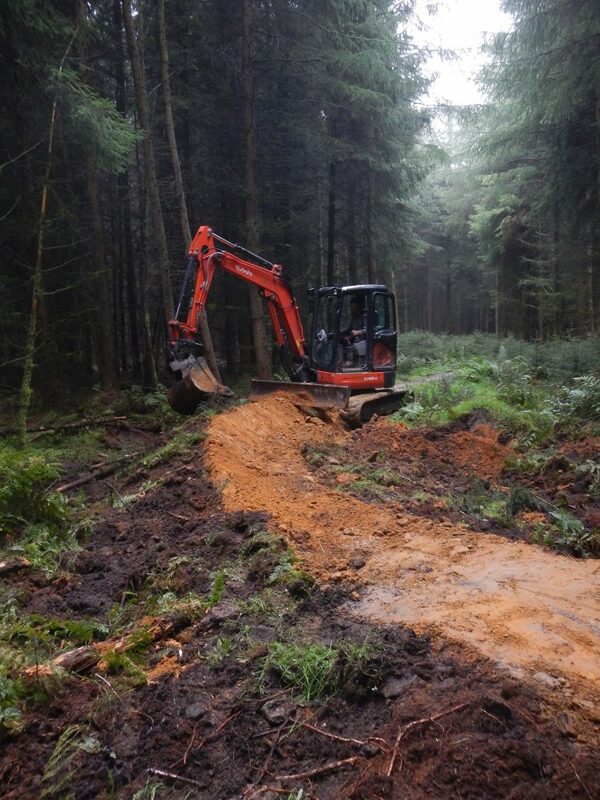 We deployed an experienced three (3) man team to undertake the mountain bike trail maintenance which had been identified on site by the trail ranger. 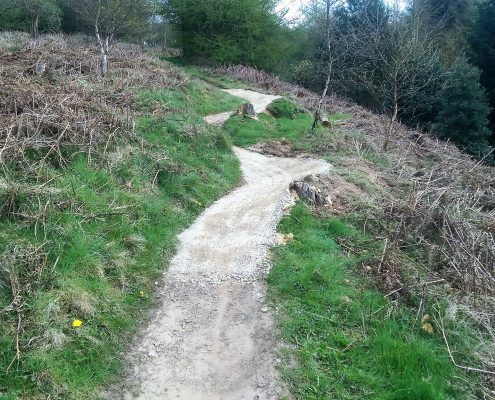 Working included de-berming, pot hole filling, pump track & trail surfacing, re-construction of existing berms and drop offs (technical trail features), new stone and piped culvert, ditching and vegetation management. 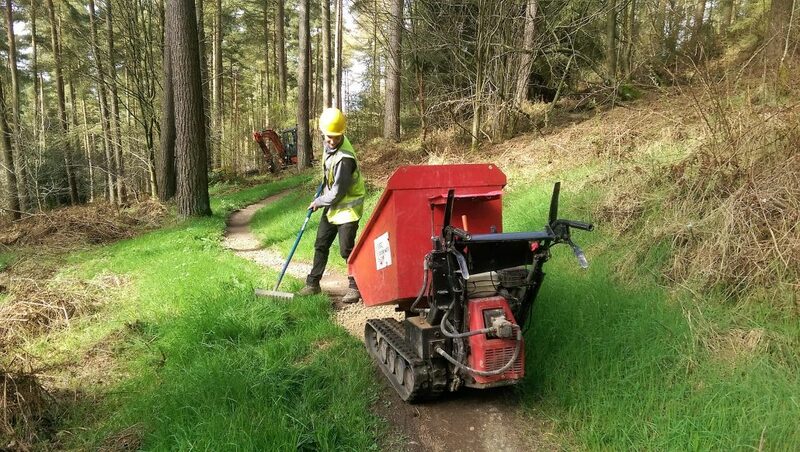 The team used bespoke plant and equipment to undertake the MTB maintenance work including a five (5) & three (3) tonne 360 excavators both fitted with tilt buckets, 2.5 tonne tracked dumper, 850kg tracked barrow, whacker plate, leaf blower (removing pine needles from the trail surface) and various hand tools. 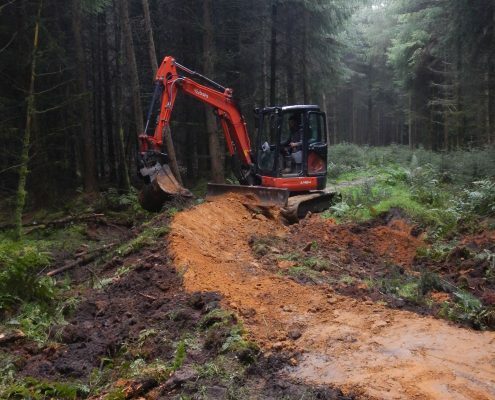 Keeping MTB riders of the trail during mountain bike trail maintenance work is paramount for rider safety and to allow the trail to consolidate following construction. 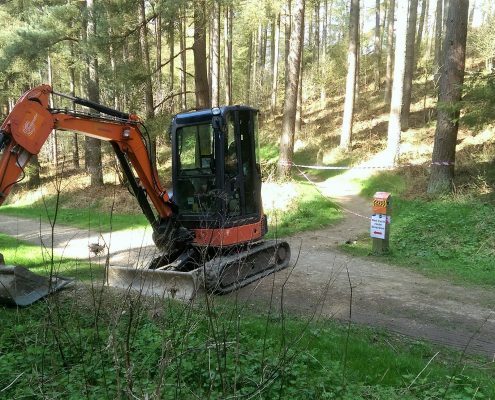 The visitor management for the site included information at the visitor centre, forestry signage at key access points, Conservefor warning signage on the section of trail and the installation of barriers to actively keep riders off the trail during work.